The Ministry of Health, Wellness and the Environment on Monday August 3rd 2015 launched a kidney screening initiative at a ceremony held at the Girl’s High School. 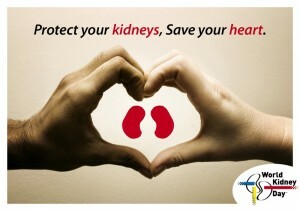 This initiative forms part of the Caribbean Kidney Screening and Education Program. It will be executed by a team of medical professionals from the Caribbean Health and Education Foundation, supported by local medical practitioners, and is expected to benefit persons living here in St. Vincent and the Grenadines. The screening will continue on Tuesday, August 4th, at the Girls’ High School, and on Wednesday, August 5th, and Thursday, August 6th, at the Golden Years facility at Byera.